I shall be conducting just one 5 DAY COURSE in my Wiltshire Studio in 2019 - the dates are Monday 12th August - Friday 16th August.......there will only be 6 places available for this course. The daily course time will be 10am to 4pm. The fee for the 5 day course is £450. 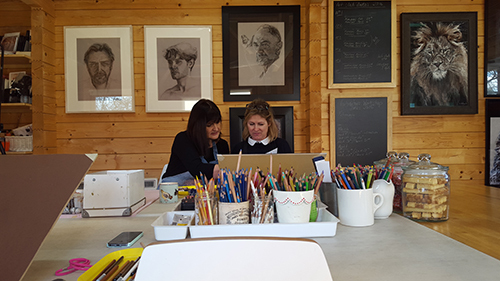 This price includes all the necessary art materials, refreshments and a simple light lunch. A service will be available for those interested in taking home their artwork professionally mounted by a local framer. This service is competitively priced (approx £20 per mount). Again, I shall only be offereing six places on this course to ensure that everyone will receive their full share of individual attention. 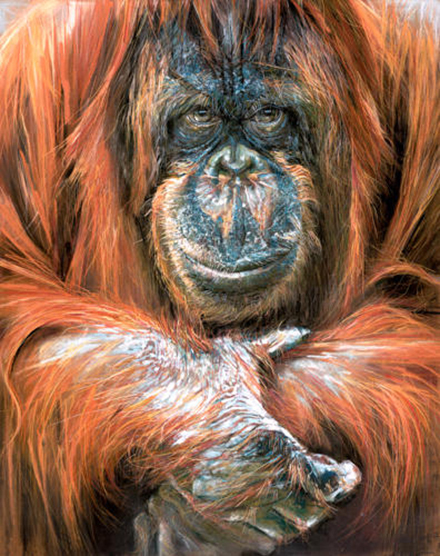 Participants can bring any portraiture images (animal or human) from which to create their artwork. I am able to provide a selection of images of either people or animals, for those who just want to try something a bit different. For those from further afield, there is a lovely, and very reasonably-priced, B&B right next door (pool, tennis court and wonderful home cooking). Our picturesque and unspoilt hamlet sits right in the middle of a family farm that borders Savernake Forest. Please contact me by to register your interest as there will only be 6 places available for this course. I look forward to welcoming you to my studio. Click here for advice on taking or selecting source photographs for people and animals.